Maybe goofy, but still absolutely adorable! You and your fangs are so funny! Goofy!!! YES! Mes loves them! What wonderful fangs you have. Since I have none, I'm especially envious. You gonna kill that thing? oh you handsome boy you.. I guess this means you'll never learn to put your lips over your fangs all the time. OMC! What big fangies you gots! 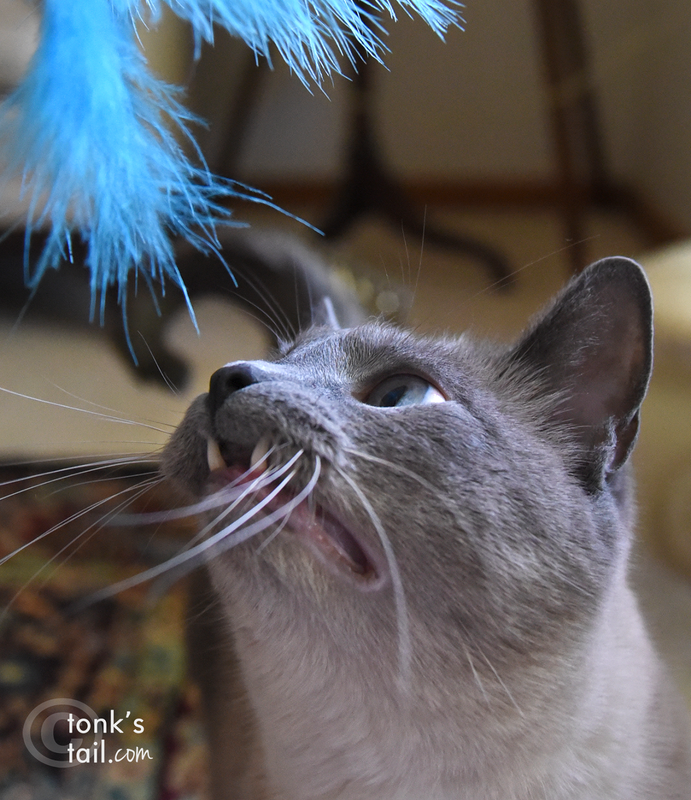 The betterto snag a feather...MOL!